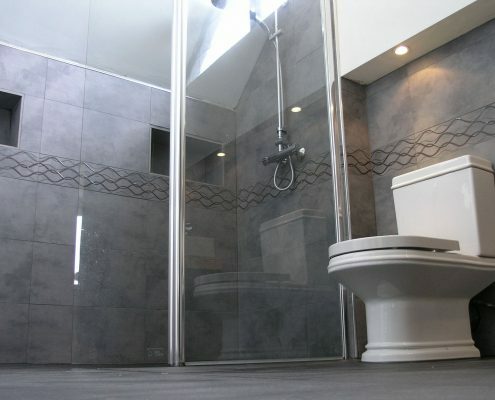 BST Bathrooms specialise in the installation of wet rooms and under floor heating. A wet room is a bathroom where the shower area is level with the floor and there are no steps up or down into the shower area. This allows for freedom and ease of movement from shower to floor, saving you some cleaning! They are easy to maintain, and are suitable to those who need an easy access alternative. When deciding to invest in a wet room, we will help you to find all of your requirements. We can recommend the most suitable designs, from a tiled floor, a non slip floor or a level access tray. You can even have a slight lip into the shower to reduce the cost of sealing the floor. Contact us at any time to discuss your requirements or arrange for a full survey and quotation.